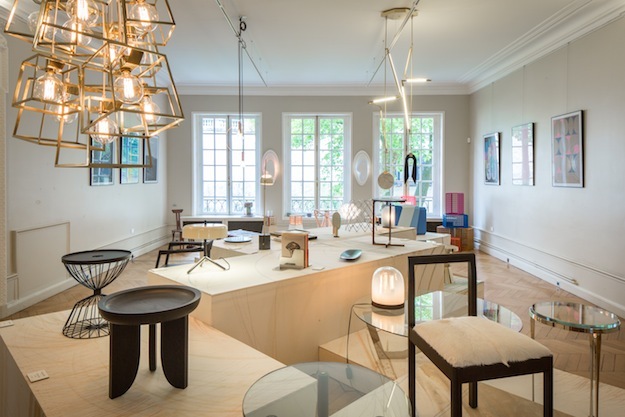 While we were in New York last week, our Dish Side Table spent the week in Paris as part of the 5th edition of American Design in Paris organized by Jacques Barret of Triode. Held at the Mona Bismark American Center for Art & Culture May 19th - 25th, the show included work from other independent designers such as our friends from Ladies & Gentlemen Studio, Iacoli & McAllister, and Fort Standard as well as established American brands such as Roll & Hill, Knoll, and Bernhardt. There was even a chair in the mix designed by Pharrell Williams! 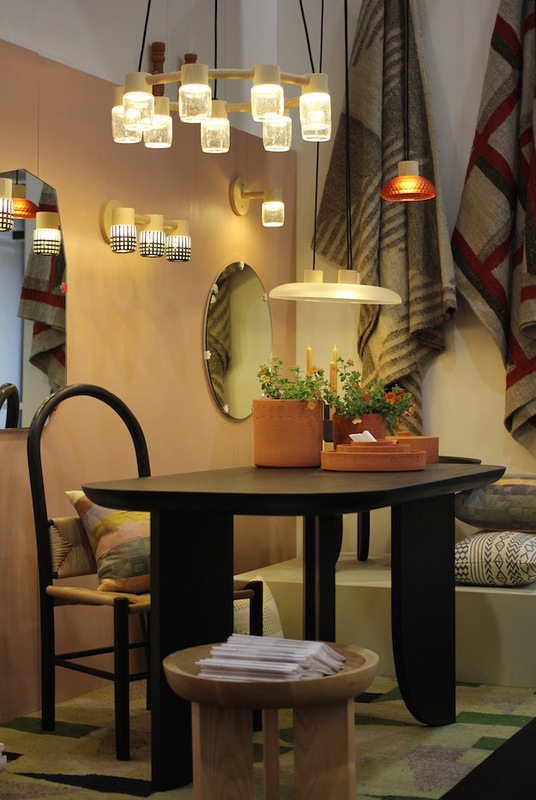 The show was featured in the May issue of the French edition of Elle Decoration as well as online here, here, and here. Photos above and below from Alexis Toureau. Update: The downloadable catalog is now available here. Walk through the show via video here. Huge thanks to everyone who stopped by our booth at the International Contemporary Furniture Fair last week in New York. We are happy to report that we survived our fourth year! The best part of the week has always been getting to catch up with friends and clients that we may only see a few times a year. It feels like a big reunion. We are so grateful to be a part of this amazing American design community. Above and below are a few photos from the booth for those who couldn't make it. We were in the same spot, but the feel was quite different from 2013 and 2012. New pieces on display included: Our Circlet Chandelier, Circlet Single Sconce, Circlet Triple Sconce, Circlet Battuto Pendant, and Circlet Dish Pendant all made using UL Certified LED components. Also on display was our new Dish Desk and our made-on-Bainbridge Island Grail Pots and Grail Dishes. 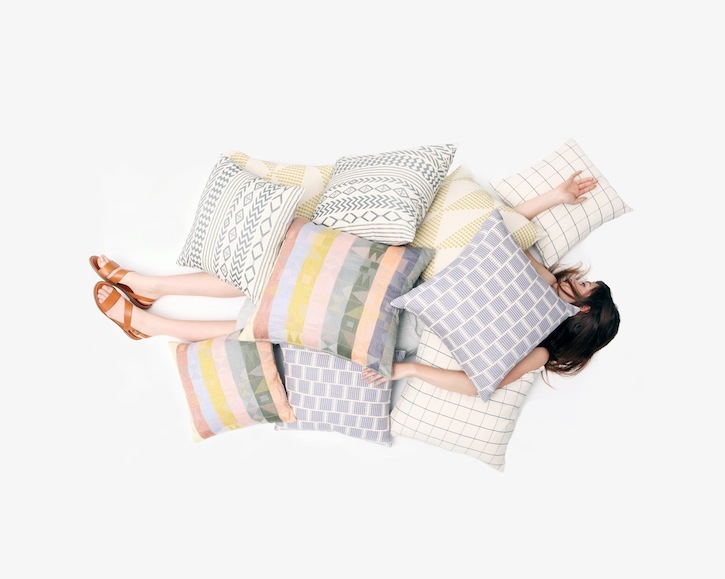 We also were excited to show off our Panajachel Pillow, Tikal Pillow, Comalapa Pillow Blue, Atitlan Pillow, and Huehuetenango Pillow which are handwoven by expert artisans in Guatemala using only naturally dyed cotton. The handwoven wool rugs and steam bent chair seen hiding in the background are so new that they aren't even up on our site yet. More on those soon! We have a ton of new work launching at the International Contemporary Furniture Fair, Booth 850, May 17 - 20, 2014 at the Jacob K. Javits Convention Center. As part of NYCxDESIGN, new colors of Grain’s lighting for Standard Socket will be presented at WantedDesign May 16 - 19. We will also be showing a mirror, recently licensed by Fab’s private label, at Happy Modern in the Fab New York Showroom, at 151 Wooster Street in SoHo, May 15 - 20. 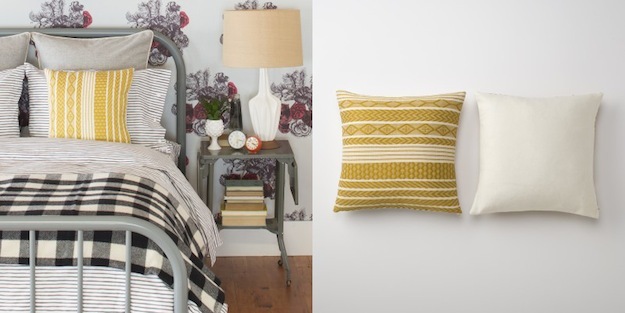 Grain for Schoolhouse Electric & Supply Co.
Our custom weavings for Schoolhouse Electric & Supply Co. are now available as throw pillows in their flagship stores in Portland and New York as well as online here, here, here, and here. We were so happy to be asked to collaborate with this great company hope for more excuses to work together in the future!